Will Shakespeare and Mary Jane Schaefer getting to know each other at The Utah Shakespeare Festival, August 2014. Photo taken by Annalisa F. Schaefer. My plan is to write three plays dealing withShakespeare's life: the events of his life, his reactions to them, and how his reactions influenced his writing. Two plays are already completed, subject to revision within the context of production. The first play, "Shakespeare Rising," explores the relationship between Will's writing of "Hamlet" and the death of his young son. The second play, "Judith Shakespeare Has Her Say," is written from the perspective of his younger daughter, Judith, the twin who was left behind when Hamnet died. This is the daughter Shakespeare disinherited. "Judith Shakespeare Has Her Say" reflects the limits of Will's feminism in his personal life, as well as the limitations imposed upon Englishwomen during the early 17th Century . The third play, "Shakespeare and the Heart's Desire," focuses on Shakespeare's love for the Earl of Southampton. It is a "vanity of human wishes" play in which human love, including that of Queen Elizabeth for the Earl of Essex, plays out against the backdrop of political maneuvering, treason, and death. Here is a photofrom the presentation of "Shakespeare Rising," then called "Shakespeare in the Dark" at The National Arts Club in 2013. Photo taken by Bruce Allan for The National Arts Club. Top Row: Al Kulcsar (Shakespeare), Peter Randazzo (Henry Condell), Daniel Randazzo (Young Will and Hamnet), Richard Weidlich (Will), Norman Allen (The Devil and Will Kempe), Sean Hannon (Richard Burbage/Fortinbras), Chilton Ryan (James Burbage/Churchman), and Mary Jane Schaefer (Playwright). Richard Leonard, Sean Hannon, Emilie Roberts, Carolyn Marble, Katie Sparer, Mark Frattaroli, Lucy Babbitt, and Sam Mink. Front: Mia Dillon and Betty Jinnette Photo by Mark Graham. Sean Hannon, Katie Sparer, Emilie Roberts, Sam Mink, Mia Dillon, Mark Frattaroli, Betty Jinnette, Lucy Babbitt, Carolyn Marble, Mark Graham (Director), Mary Jane Schaefer (Playwright) and Richard Leonard. Photo by Bruce Allan for The National Arts Club, Dec. 15, 2014. Mia Dillon (Rt.) as Old Judith and Emilie Roberts as Young Judith in "Judith Shakespeare Has Her Say," The National Arts Club, Dec. 15, 2014. Photo by Mark Graham. Rehearsing "Judith Shakespeare Has Her Say" : Mia Dillon, Carolyn Marble, and Katie Sparer. Dec. 15, 2014 at The National Arts Club. *********************************************************************************************** CHARLES ALTIERI ON "SHAKESPEARE RISING"
In August of 2014, "Shakespeare Rising" (then called "Hamlet's Shakespeare") was presented at The Utah Shakespeare Festival. Charles Altieri, the eminent literary critic and the Rachel Stageberg Anderson Professor at Berkeley, came to Cedar City, Utah, to see my play. This is his comment, which is also attached to my blog, Post # 16, WHO'S THERE? "I was lucky to see "Shakespeare Rising," which I thought was remarkably intelligent in its easy naturalizing of something that could pass for classical English. Schaefer's writing seemed serious and powerful without being at all pretentious or taking too seriously that it was dealing with the classics of English literature. I see now in this blog the same kind of clear and unforced intelligence. Perhaps that is why Schaefer can get out of the way of her characters and give them their own purchase on that elevated yet natural seriousness. I like the worlds she offers us because they are livable yet in no way trivial." Below is the cast of "Hamlet's Shakespeare," now "Shakespeare Rising," as done for The New American Playwrights Project (producer: Chuck Metten), part of The Utah Shakespeare Festival, August 2014. From the left and going up: Mary Jane Schaefer (Playwright), Henry Woronicz (Director and James Burbage), Marco Vega (Henry Condell), Erika Haaland (Mary Shakespeare), Matt Koenig (Will, i.e., Young Shakespeare); front row, from the left: Molly Wetzel (Narration/Stage Directions), Jason Spelbring (John Shakespeare), Sara J. Griffin (Anne Hathaway), Bailey Duncan (Hamnet/ also Will as a child), Dan Frezza (Will Kempe/Devil), Rick Peeples (Mature Shakespeare), Peter Saide (Richard Burbage/Fortinbras), and Amy Witherby (Stage Manager). Photo by Annalisa F. Schaefer. A shadowy, dappled photo from the courtyard between several of the tree-ringed Festival theaters. A beautiful cast and a lovely venue with a director both astute and good-natured. A wonderful experience for the playwright and, I think, for many concerned. One of the actors told me later that it was "an honor to say those words." What more could a playwright want? 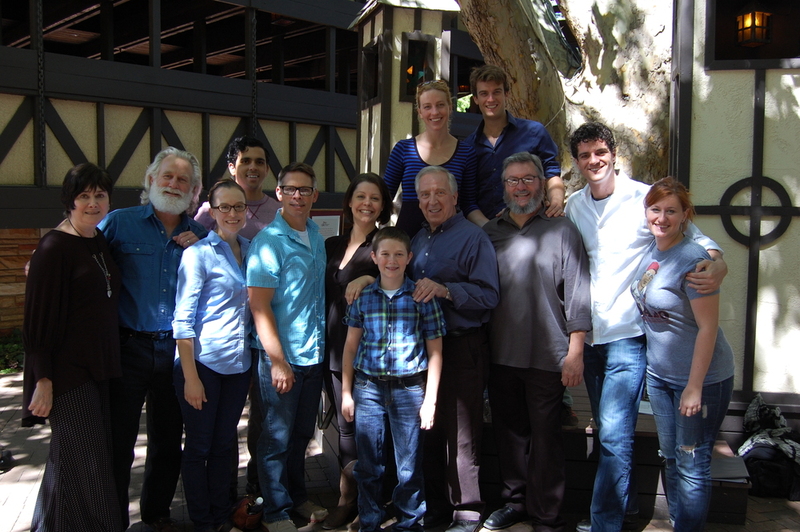 Standing from left: John O'Hern, Damien Langan, Tom Zingarelli, Mary Jane Schaefer (Playwright), Allan Zeller, Joseph Maker, Richard Weidlich, Scott Bruno, and Mark Graham (Director). Sitting: Betty Jinnette, Emilie Roberts, Marca Leigh, Donna Wyant (Producer) and Constance Koeper (Stage Manager). Missing from photo: Larry Reina as Shakespeare and Miles Everett as the Earl of Southampton. Photo taken by Jeffrey Wyant. The presentation took place Saturday night, Feb. 27th, in Darien, to a full house. It was a very attentive audience. Everyone stayed for the Talk Back, led by Abbie Van Nostrand. A truly exciting evening of live theater. Thank you, Darien Arts Center! A staged reading directed by Mark Graham. Shakespeare and the Heart’s Desire, a drama, is third in the DAC Stage lineup and is written by accomplished local playwright Mary Jane Schaefer. This one-night staged reading will be directed by Mark Graham on February 27 at 8:00 p.m. Shakespeare's fascination with the beautiful youth of his sonnets is at the heart of this play that involves an historical incident and its aftermath. Shakespeare's Company is entangled in a treasonous act committed by the Earls of Southampton and Essex. At the play's center is Shakespeare himself, explaining to himself, and to us, this crucial event in his life. Here are some photographs taken by Jeffrey R. Wyant during the presentation of Shakespeare and the Heart's Desire. Emilie Roberts as Queen Elizabeth; John O'Hern as Sir Robert Cecil. All photos by Jeffrey R. Wyant. Allan Zeller as Essex; Miles Everett as Southampton. Damien Langan as R. Burbage; Tom Zingarelli as Augustine Phillips. Allan Zeller, Miles Everett, Larry Reina, Damien Langan, and Tom Zingarelli. Emilie Roberts; Marca Leigh as Emilia Lanyer. 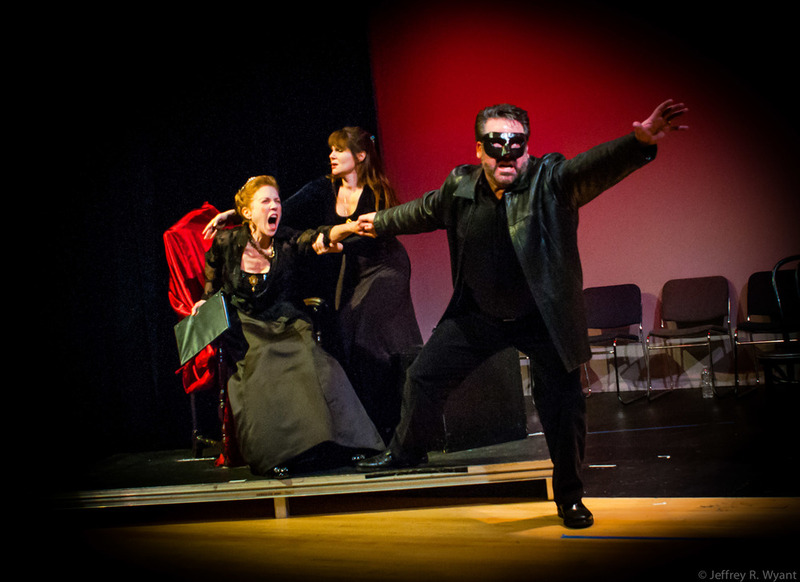 Emilie Roberts as Queen Elizabeth, Marca Leigh as Emilia Lanyer, and Allan Zeller as Essex. Photos from the October 2017 presentations of "Shakespeare and the Heart's Desire" will soon be available here. Jeffrey R. Wyant will be taking photos at our rehearsals. Bruce Allen will also take photos at The National Arts Club. Coming soon! GREAT NEWS GREAT NEWS GREAT NEWS GREAT NEWS. . ..
a presentation this fall of staged readings of ALL THREE PLAYS of THE TRILOGY: THE LIVES OF SHAKESPEARE. Directed by Mark S. Graham and performed by actors of The Theater Artists Workshop, in conjunction with guests artists, they will appear on Sept. 25, 26, and 27, 7-9 p.m. at the historic PLAYERS CLUB, 16 Gramercy Park South, New York, New York. Admission is free, but reservations are required. There is also a club dress code: business casual. The plays were performed at The Players Club to enthusiastic audiences. The actors truly engaged the audience, as well as delighted it. Each night the play was followed by a stimulating Question and Answer session which demonstrated how much the audience had absorbed from each evening's entertainment and how interested they were in Shakespeare's life and his world. I intend to place here a series of photos from the action of the plays. 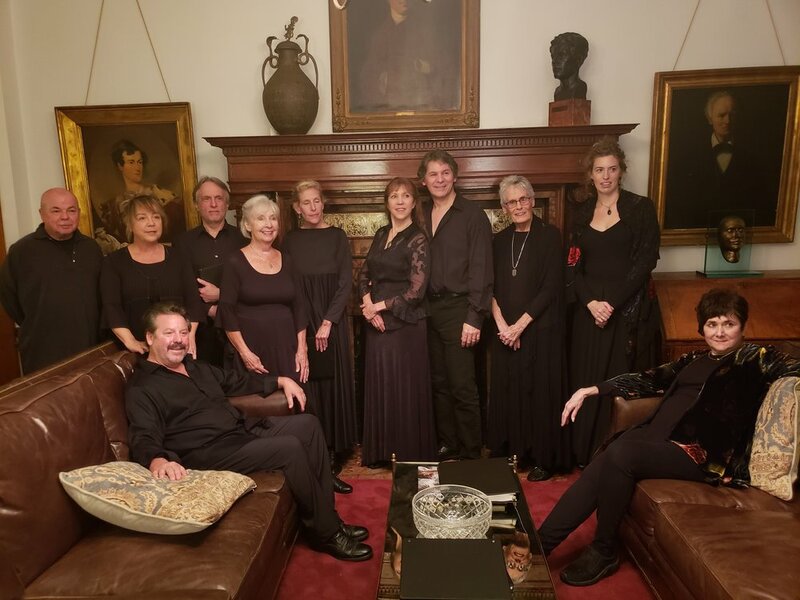 But, for now, I'd like to insert, if I can, a few photos from the beautiful upstairs green room/s at The Players, where we posed for a cast picture of the second play before the actors performed "Judith Shakespeare Has Her Say," the second play of the trilogy. I would like to add that in Play #3 the role of the Earl of Southampton, formerly held by Timothy Fraser, was performed by Justin Fuller. Please note: All three of these plays are now available through the New Play Exchange.